It's been unseasonably warm in Hong Kong (until today), considering there's only 1 week left till Christmas. I mean legs-bearing, rolled-up-sleeves kind of warm. 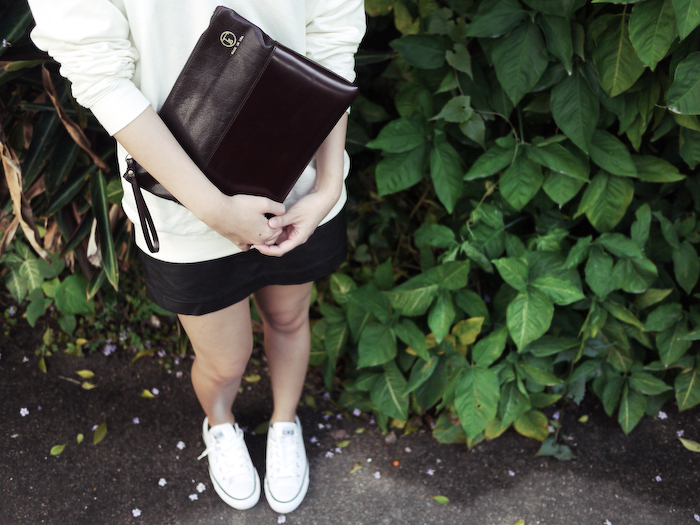 Perfect for wandering around in a seasonless wardrobe of comfy basics that are as easy as pie. The lovely ladies behind A Boy Named Sue have done an awesome job of sourcing some of the coolest eco-conscious designers. Along with their yummy visuals and cute branding, Tania and Sam show you how sustainable design IS in fact damn cool. My milky raglan sweatshirt has been serving me well these past few days, worn baggy like I borrowed it from my (shrunken) boyfriend. I finally took some time out to cook again, in an attempt to revive #shaskitchen. 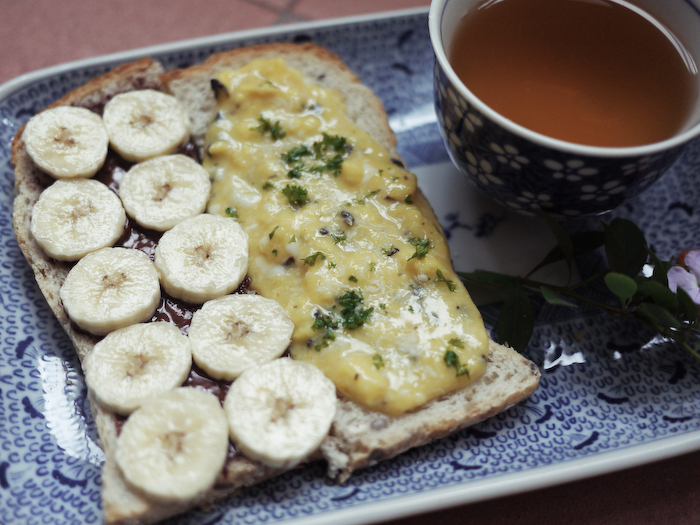 I'm always torn between wanting sweet or savory foods for breakie, so I ended up making both. It's my yin-yang/two-face/half-n-half special: nutella and banana versus slow cooked scramble eggs with truffle and cheese. Served with a cup of rose scented tea from Harney & Sons. YUMZ. On sunday I exactly wore shorts and sweater with sleeves rolled up! It's weird to be that warm in winter. In the last second photo you somehow remind me of Camille from Childhood Flames. And you are effortlessly cool! 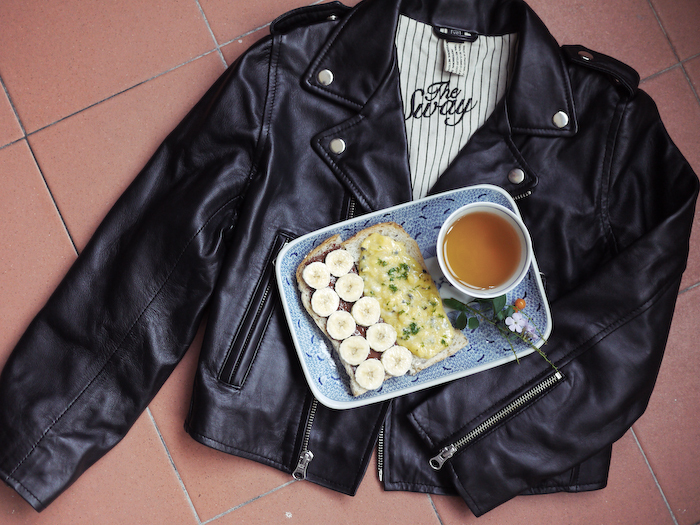 your breakfast looks too good!